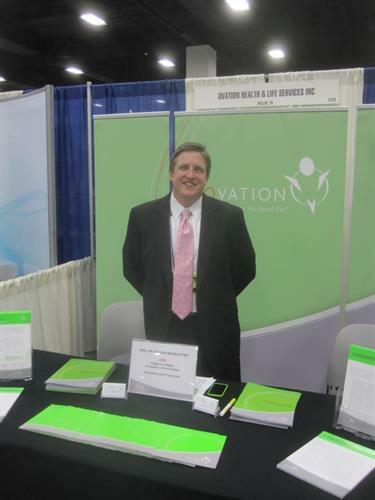 Ovation Health & Life Services provides and manages employee benefits programs for businesses. We've created a model where we engage our clients, where the ultimate decision about working with Ovation isn't about the product and the price, it's about the client experience. We create your benefits program, manage it, offering enrollment and compliance solutions, while giving high-touch service, 7 days per week. Maintaining an employee benefits program is a drain on the management, pulling resources and time away from their core business objectives. Ovation acts as an HR extension, designing & managing employee benefit programs, coordinating employee benefits enrollments, handling employee benefits issues, providing HR resources and documents, and employee onboarding. Ovation offers and manages core, ancillary, and supplemental insurance programs. Our product offerings, employee benefits education and enrollment services not only enhance the core benefit offerings, but saves the client actual dollars recognized through reduced costs of managing benefits enrollments. We offer these clients customized enrollment solutions, dependent eligibility audits, risk and analytic reports, and custom communication and educational materials.